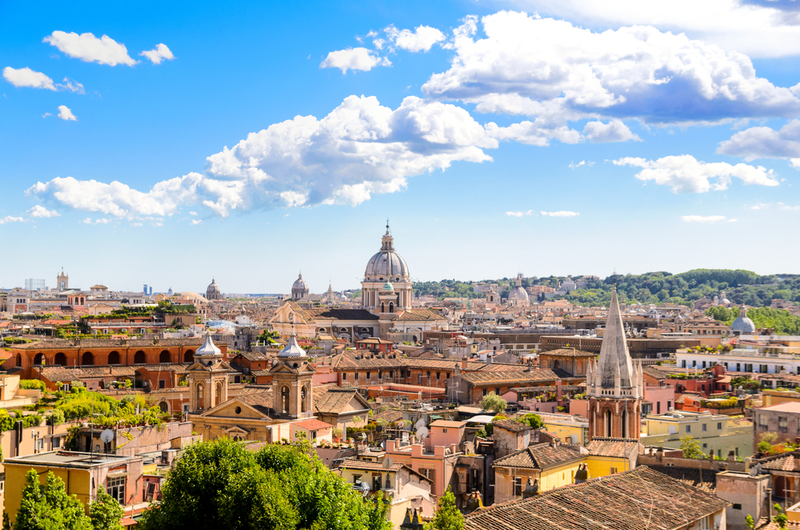 Explore a city of history, architecture, and romance – Rome! An independent country surrounded entirely by the city of Rome, the Vatican is the center of the Roman Catholic Church, filled with more history and artwork than most cities in the world. Don’t miss St. Peter’s Basilica and the Vatican Museums. One of Rome’s most famous attractions, the Spanish Steps has made appearances in paintings and movies since they were finished in 1725. This part of Rome is home to its iconic architecture and attractions, including the Pantheon and the Colosseum. 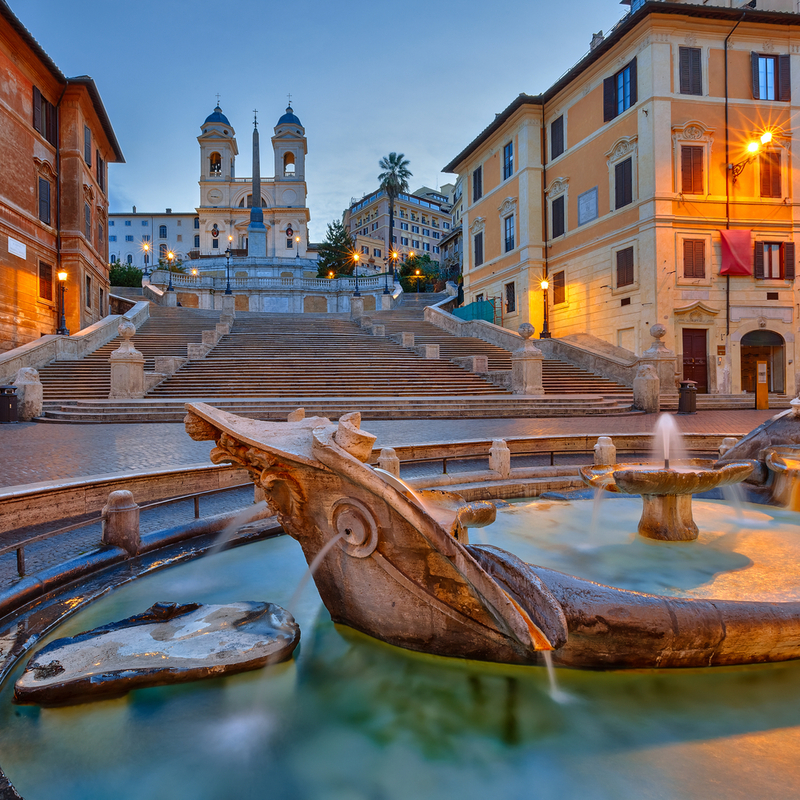 There’s a great series of neighborhoods for dining and shopping, or just linger on the Spanish Steps and by the Trevi Fountain. Visit the Villa Borghese and Piazza della Repubblica, the center of ancient Rome. Trastevere, the charming district south of the Vatican on the west bank of the Tiber, is full of narrow cobbled streets and lonely squares that have long served as the inspiration for artists. Aventino and Testaccio are off-the-beaten-path districts with plenty of surprises waiting for interested travelers, as well as some truly great food. Join a walking tour that samples the best food experiences in Rome, spotlighting gourmet markets, gelaterias, trattorias, cafés, wine bars, and more delights. 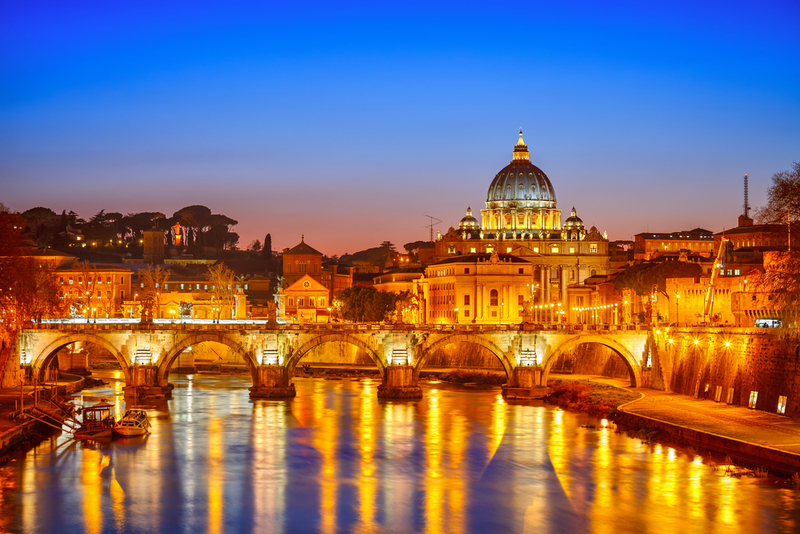 Explore the breathtaking sights of Vatican City, including St. Peter’s Basilica. Tour the impressive features and sites of Vatican City, including St. Peter’s Basilica, St. Peter’s Square, and the Vatican Museums. Discover the hidden history of Rome’s underground catacombs and burial chambers, including the Capuchin Crypt, where the remains of 4,000 Capuchin monks literally rest in pieces. 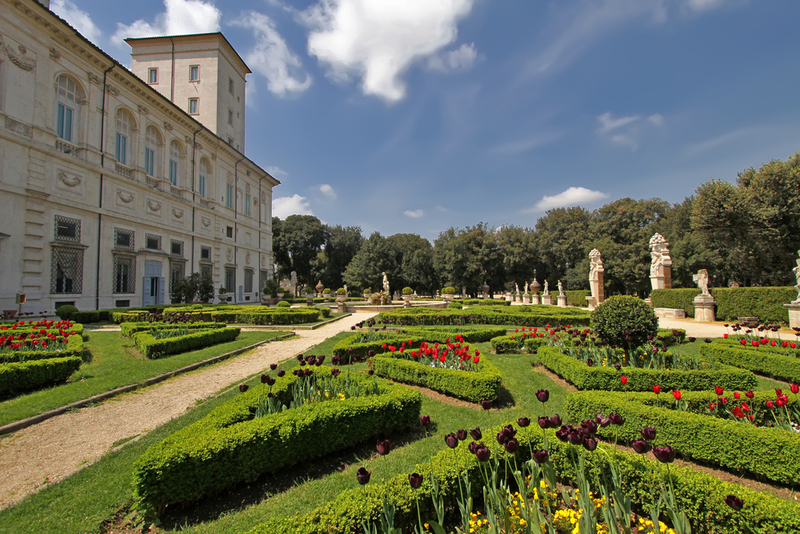 Wander through the beautiful gardens with flowers, fountains, and statues at Villa Borghese. Stroll the fabulous grounds of the Villa Borghese, a heart-shaped English-style botanical garden with spreading shade trees and lawns, romantic walkways, and statues and fountains throughout. 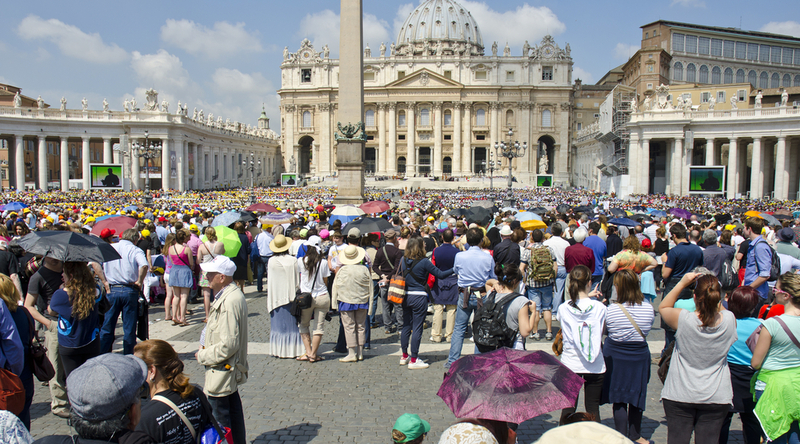 Every Wednesday, the Pope greets those in St. Peter’s Square with the Papal Audience. Book your ticket (well in advance) for a Papal Audience with Pope Francis I in St. Peter’s Square at the Vatican. Hear the Pope’s weekly message, and receive the papal blessing. Embark on a unique walking tour of Rome that invites you to discover the history and legends of the Eternal City – and also learn to cook three kinds of pasta! Head to Quartiere Coppedé, in Rome’s Trieste district, for a fantastical mix of Ancient Greek, Roman Baroque, Mannerist, medieval, and Art Nouveau architecture, all created by Gino Coppedè in 1919. 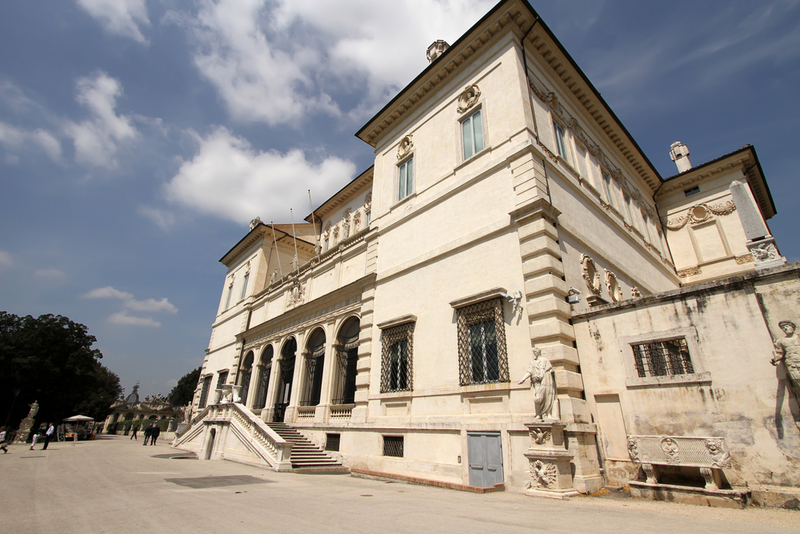 While at Villa Borghese, explore Galleria Borghese with its stunning collection of Italian art history. Limited admissions mean that you can see tons of timeless artworks by Caravaggio, Bernini, Titian, Raphael, Rubens, and others in uncrowded bliss at the Galleria Borghese. A unique “Angels & Demons” tour takes you to some of Rome’s most beautiful spots, including movie locations, to decode the secret messages of the Illuminati and unravel other secrets.